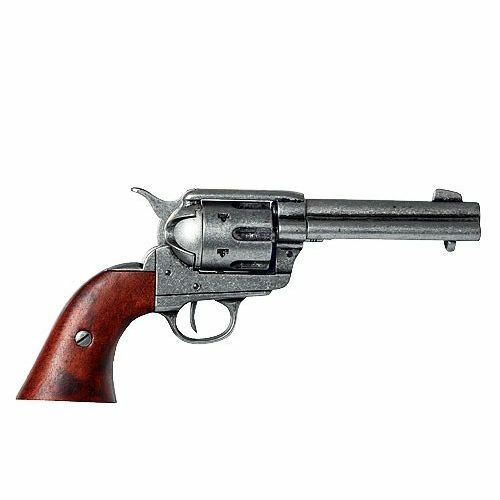 The true Colt Peacemaker single action sixgun with short 4 & 3/4 inch barrel. The original standard barrel length. Prefered fast draw Colt single action. Favoured by Fancy trick and display shooters. Dry firing action with working hammer and trigger. Metal steel look finish with wood grips. Chambers take our sixgun dummy bullets. This is a Relics replica handgun. Age declaration required. Please complete online form during purchase process.